More IoT technology is heading into retail. During the Shoptalk conference in Las Vegas this week, Macy’s execs said the retailer will be adding an augmented reality experience in beauty after having been tested with some app users last year. The retailer is teaming with L’Oréal’s ModiFace to add an AR feature to more than 1,000 beauty products across major brands covering face, eyes, and lip cosmetics. This will allow shoppers to virtually test single products or entire looks through the use of in-store beauty displays. In addition to the AR activity coming to Macy’s, the YouCam suite of apps from Perfect Corp. is being expanded so more retailers can provide In-Store Magic Mirror systems to allow shoppers to use the YouCam Makeup features in stores. 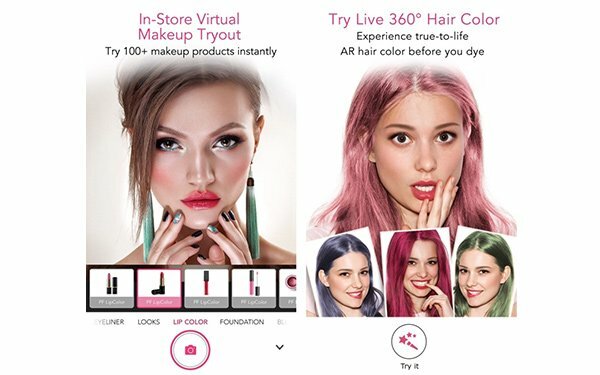 Using AR and artificial intelligence, the mirrors allow beauty retailers to add smart digital features for shoppers to try more than 100 beauty products instantly through AR try-outs. The YouCam business system has been integrated into the retail-focused, dedicated app, dashboard and all. Many consumers are already aware of some of the AR capabilities, since Perfect Corp. says the app has been downloaded more than 700 million times. Despite the massive scope of online shopping, connected digital experiences are growing in physical stores. The Internet of Things makes shopping an ongoing and iterative rather than a serial process.